Our mission is protecting inventors, innovators and entrepreneurs. We do this by helping them secure freedom to operate by navigating around the intellectual property claims of others, and gain leverage over competition by securing intellectual property protection. Securing freedom to operate ones business may include navigating around the claims of competitors, and/or developing invalidity contentions against the competitor's claims. Gaining leverage against competition may include, for example, securing patent grants to constrain and block competitors in various ways. Securing freedom to operate ones business can be achieved in different ways. One way may involve identifying and avoiding relevant competitor patent claims that may legally impact the company and its products and services. Typically, this involves reviewing and analyzing intellectual property claims made by a competitor against a client impacting the freedom to operate its business, including making, selling and providing its products and services. Avoiding infringement of a competitor's granted patent requires navigating around the "scope" of its patent claims. When necessary, this involves challenging the validity of these patent claims. 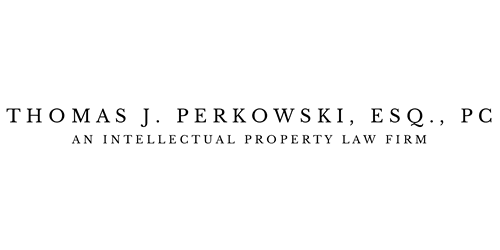 Challenging a competitor's patent claims requires developing compelling patent invalidity contentions supported by strong prior art references not previously considered by the patent examiners during prosecution of the competitor's patent. Another way may involve identifying prior trademark usage by another that may be considered too similar to a trademark under consideration, and advising against the use of such a trademark to avoid potential confusion, conflict and controversy. Often, such advice can save a client a significant amount of time, energy and money which may otherwise have been wasted in unnecessary trademark litigation. Gaining leverage over competitors can be achieved in different ways, as well. In general, this involves securing strong and effective intellectual property (IP) protection covering things and activities in ones current and future business plans. For example, this may involve using the Patent Laws to secure patent protection on one's products and services. This may also involve the use of the federal Copyright Laws and Trademark Laws, and perhaps even state Trade Secret Laws, to secure leverage and advantage, as well. Typically, securing patent protection involves drafting and prosecuting patent claims covering a company's products, services, future market plans, and brands. By building portfolios of granted patent claims, legal barriers and leverage may be created against the competition, providing the patent owner with the right to assert and enforce infringement of granted patent claims by competitors. Securing strong and enforceable patent claims requires significant time, energy and effort during the patent prosecution process in the Patent Office. For over 30 years, we have been helping clients secure freedom and leverage as they grow their businesses and market share. Along the way, we have acquired great experience and insight into these competitive processes. Contact us today and learn more about what we may do for your company, on time and within your budget..